Had a very good lunch at Scott’s on Saturday, outside in the sunshine with my friend David Lamb. He told me he is having a complete career change and is off to be the MD of Tswalu. This is the largest private game reserve in South Africa covering some 100,000 Hectares. Far far bigger than the entire Sabi Sands private game reserve area in the Kruger which is at 65,000 Hectares. I was lucky enough to go there a couple of years back and it is the nearest thing you can get to “wild “ Africa in South Africa. You get there on the De Beers private plane either from Johannesburg or Cape Town and there are no other tourists to be seen. It is semi arid bush in the Kalahari. 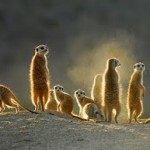 Awesome landscapes and so much to do: walking, meerkat interaction, riding, star-gazing, birds, San rock engravings. Oh yes and the big animals too except for Ellies. Tswalu is also a huge conservation project and the family’s passion. There is currently a stay 4 nights, pay 3 deal at present. Just in case you are interested?